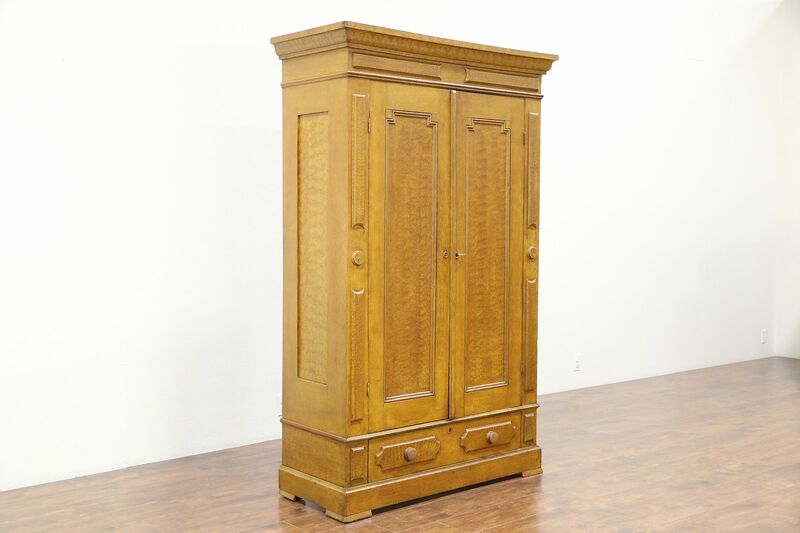 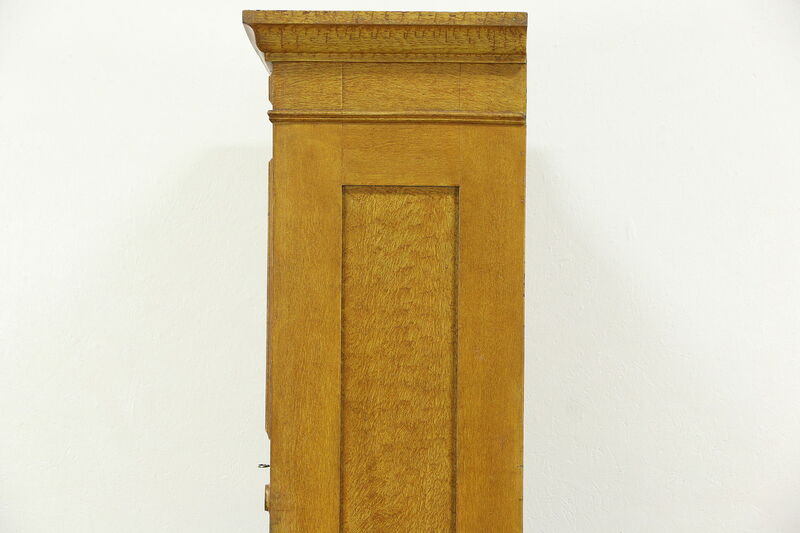 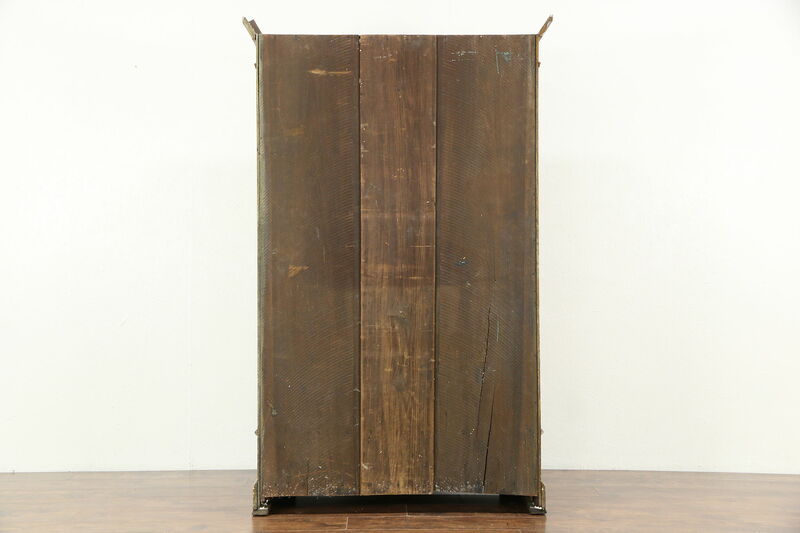 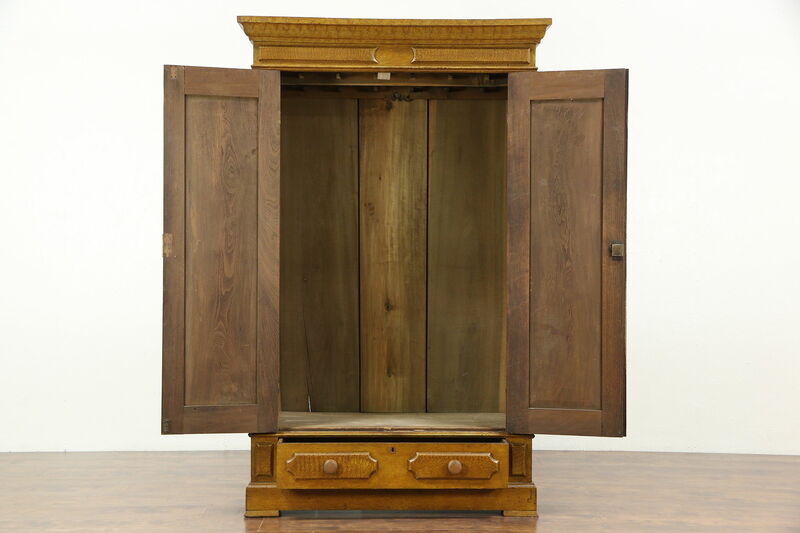 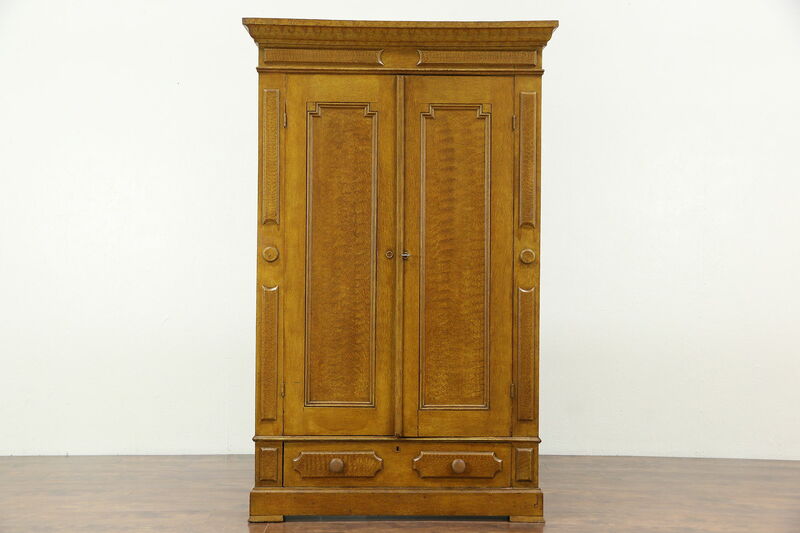 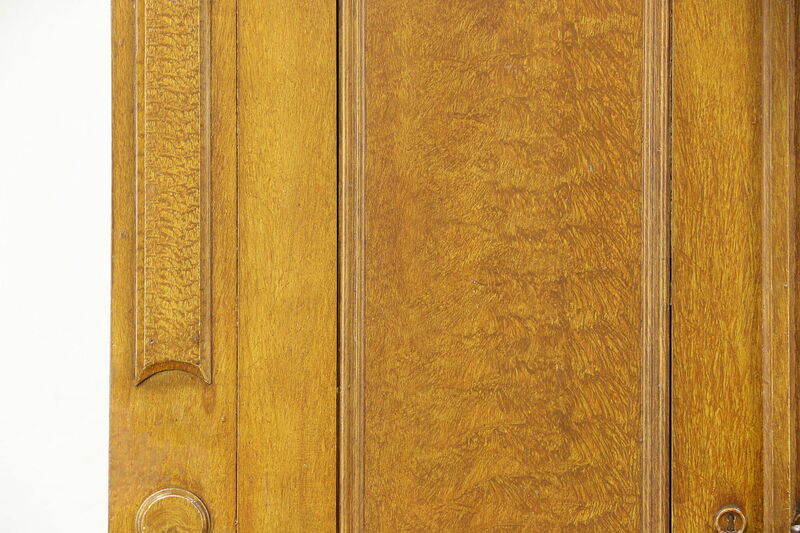 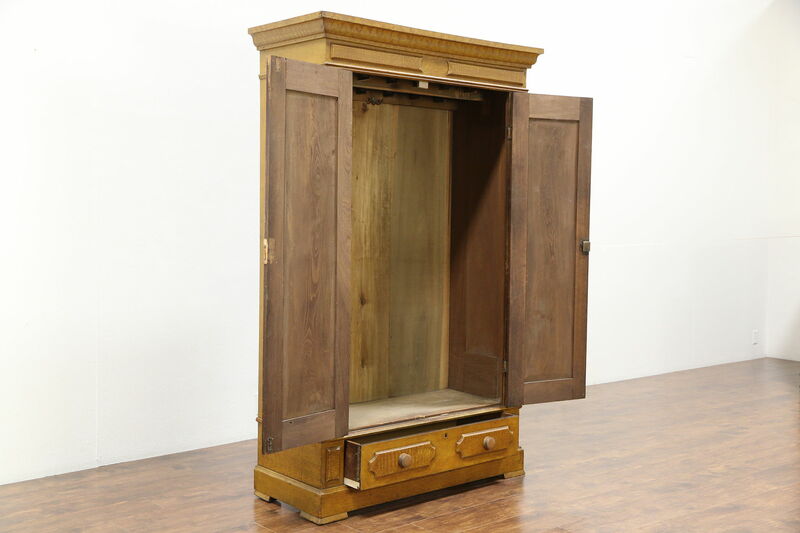 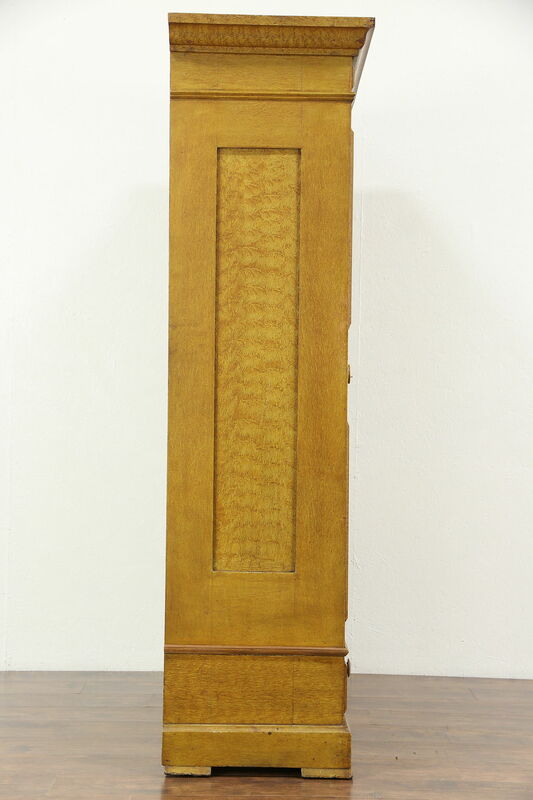 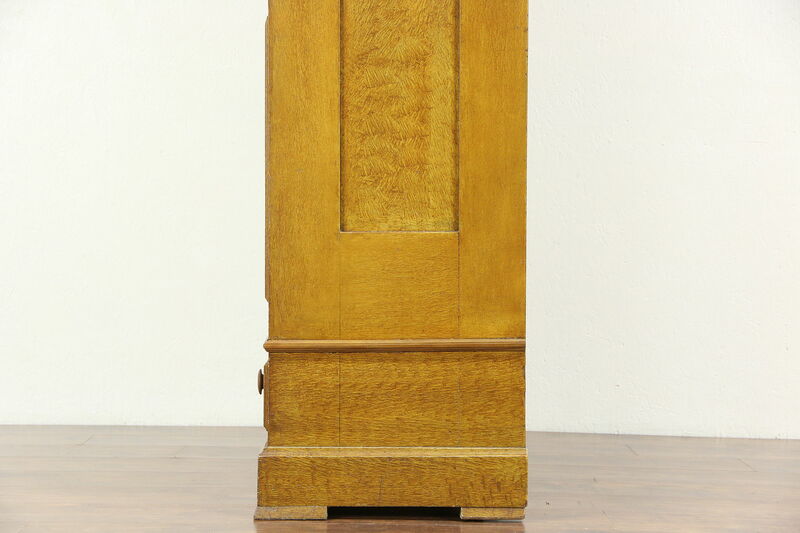 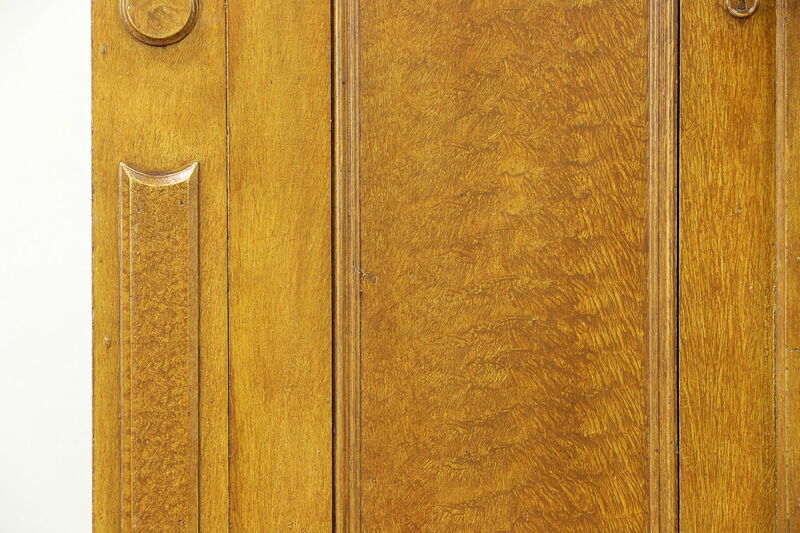 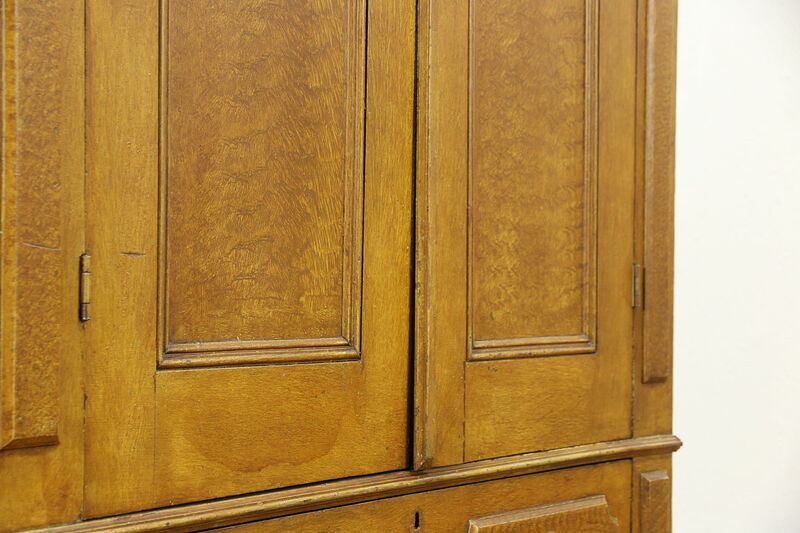 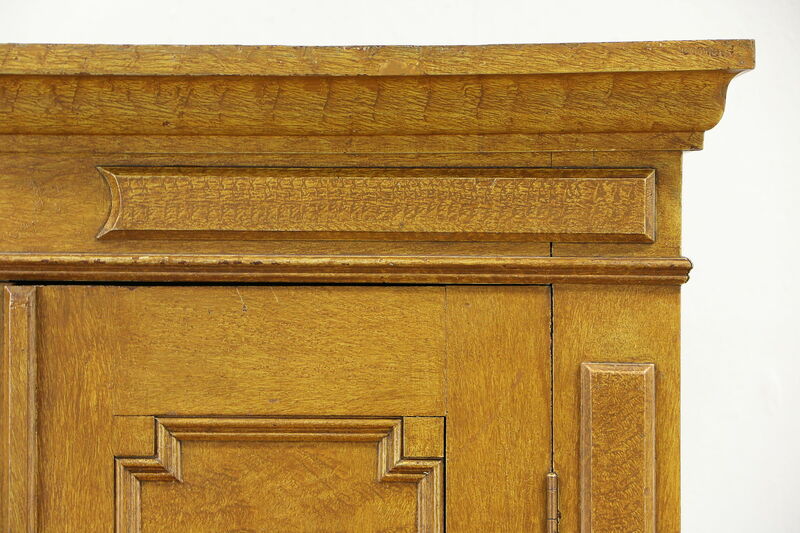 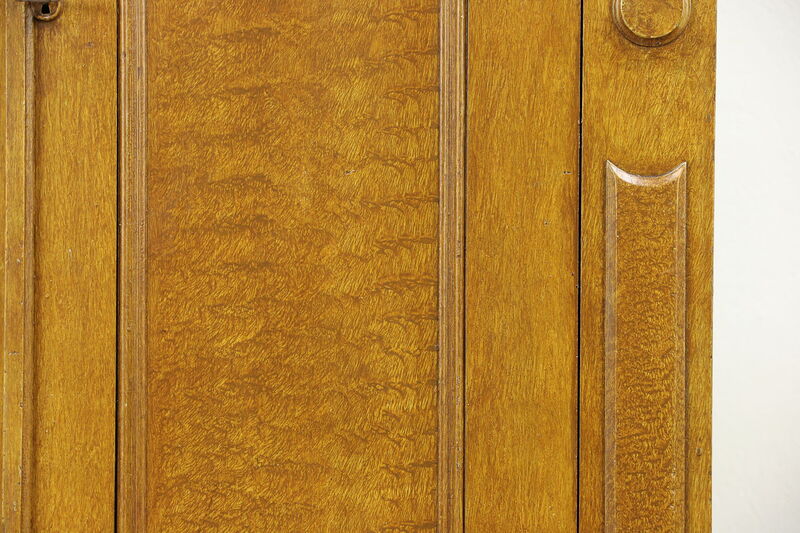 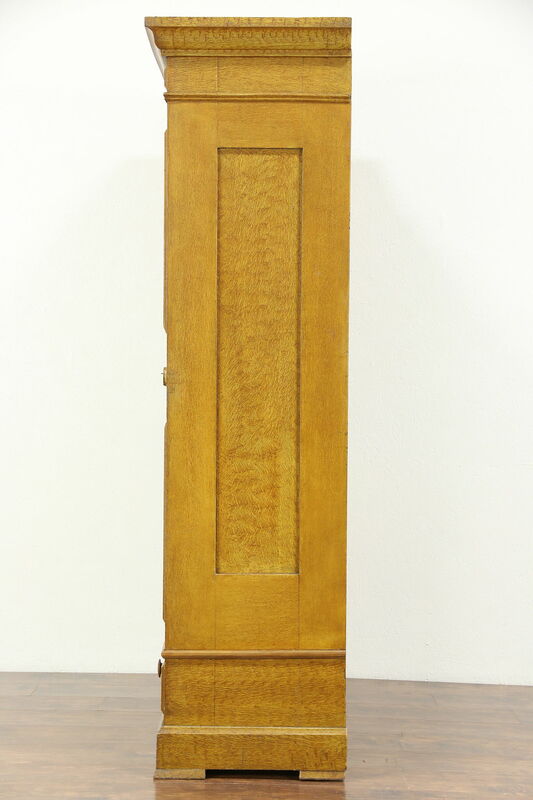 Carved of solid walnut about 1870, this armoire, wardrobe or closet has old grain painting. 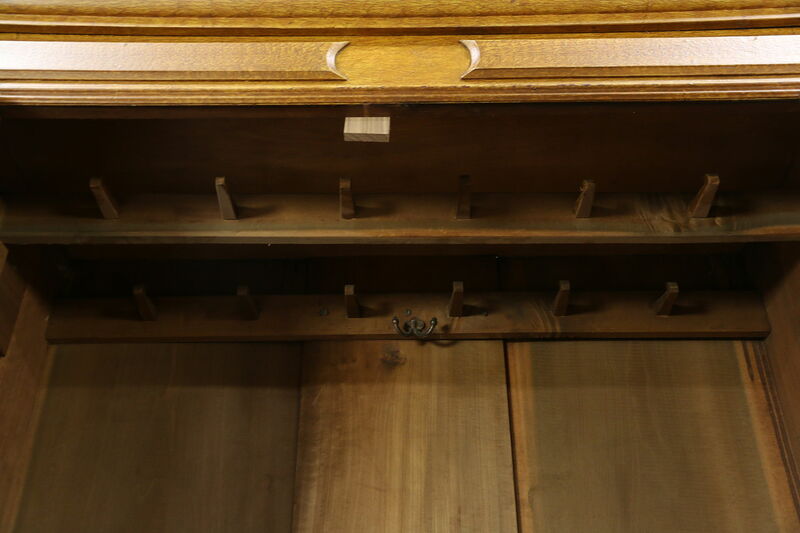 Inside are original carved wooden clothes hooks. 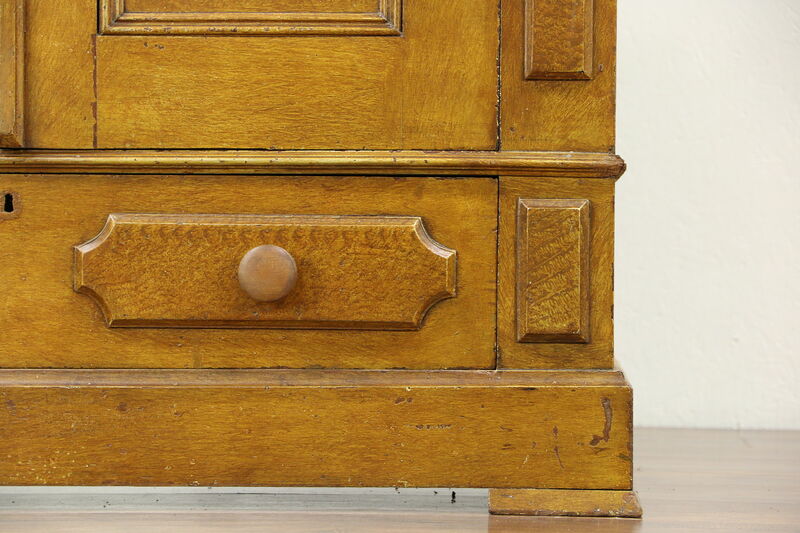 There is very slight wear to the finish, and various restorations and renailing, see photos. 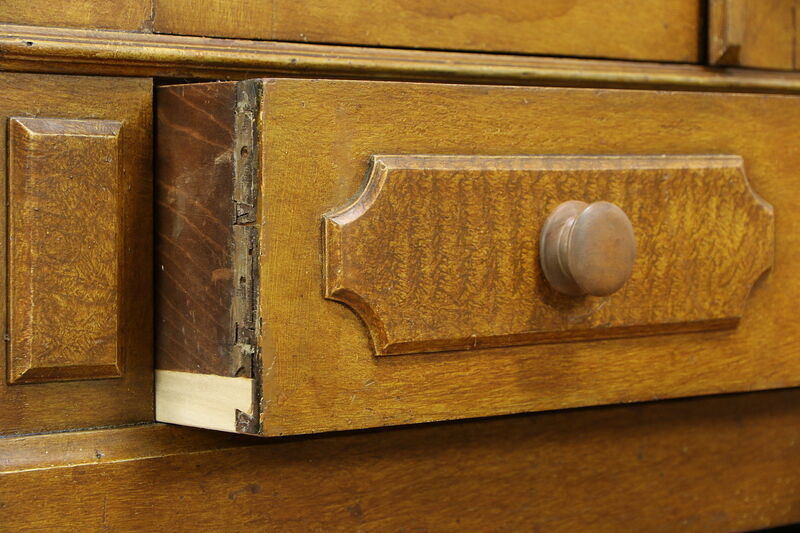 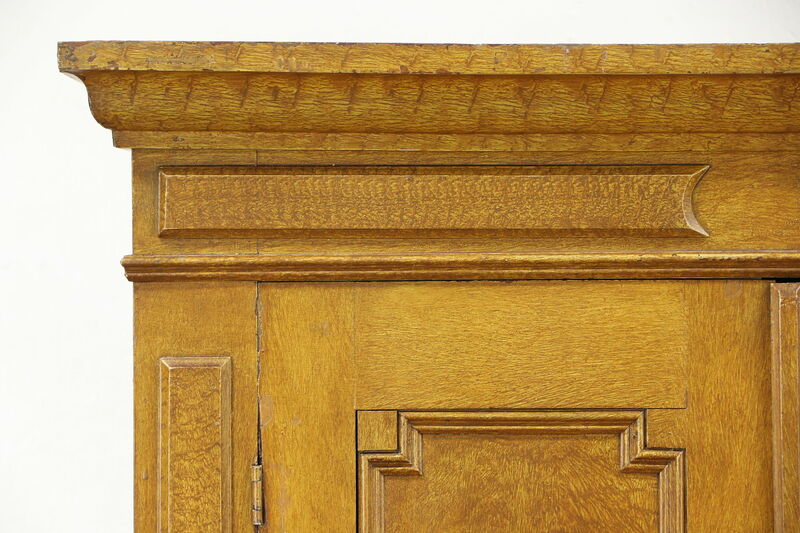 The bottom drawer has hand cut dovetail joints and sides are restored as needed. 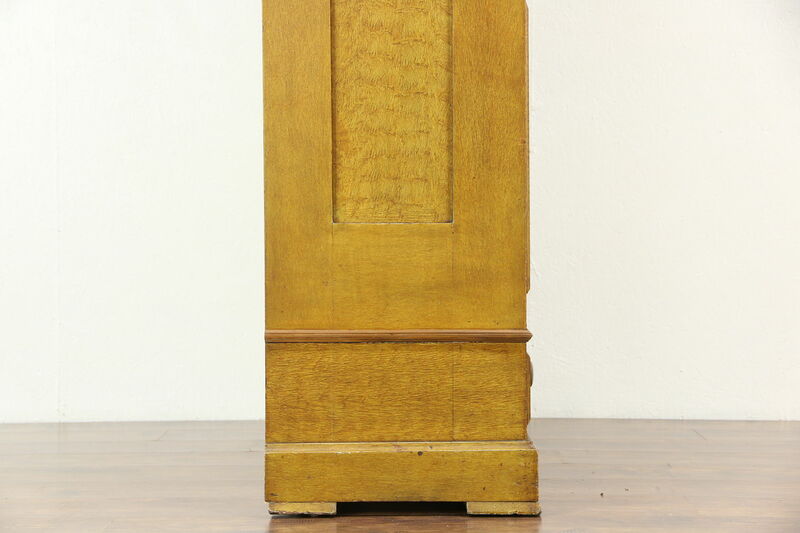 Interior depth is 17" so a clothes pole could be installed if desired. 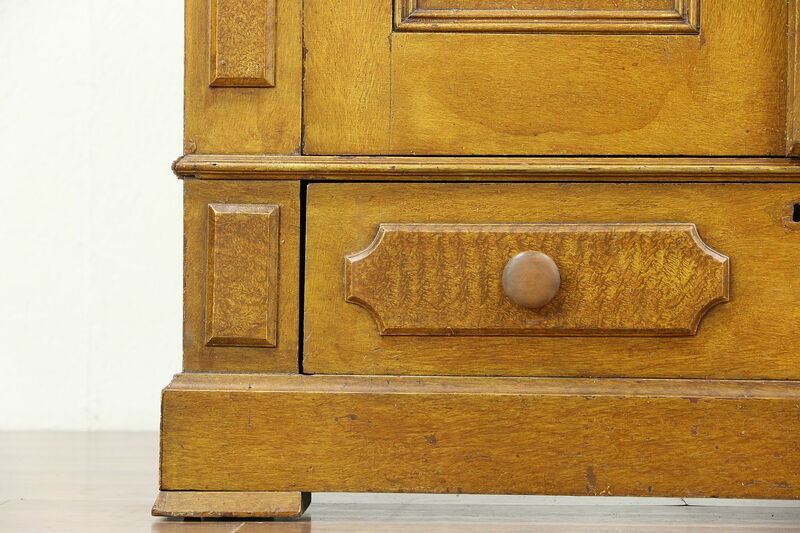 This American made antique furniture does not disassemble, so measurements should be made before delivery. 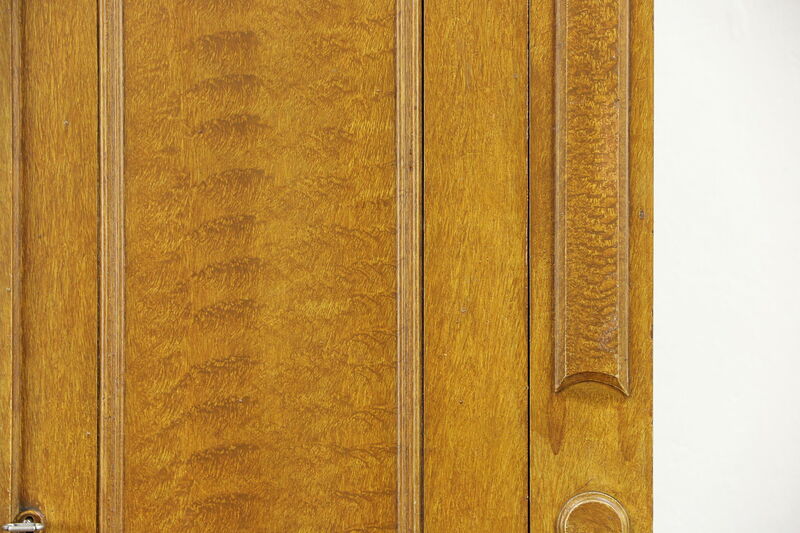 Doors have a slight warp from age as shown, the lock works. 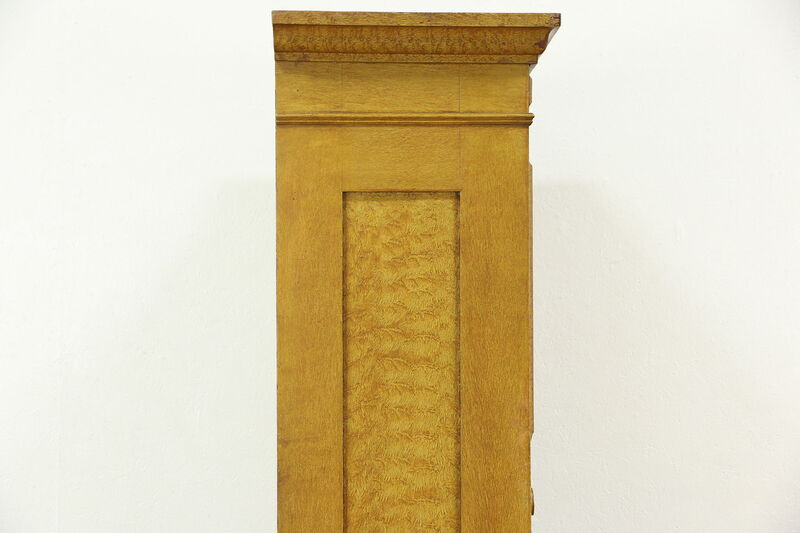 Dimensions are 47 1/2" wide at the crown, 21" deep and 76" tall.